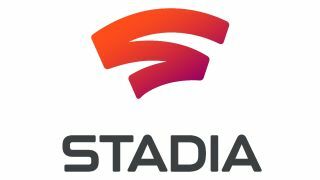 Google Stadia makes quite the promise: play AAA games on just about any device with a screen and an internet connection, no high-power console or PC necessary. Cloud gaming platforms tend to set expectations extremely high, but their Achilles' heel is latency, the delay between you pressing a button and the streaming game responding with an action. I've always harbored a more-than-healthy skepticism of cloud gaming, incredulous that I could ever get the same degree of feedback from the cloud as a local system. But after trying out Stadia at the Game Developers Conference 2019 shortly after its big reveal, I'm stunned by how normal everything felt while playing games streaming in via the cloud. If you're looking for exact tech specs and measurements down to the millisecond of how Stadia handles latency, the folks at Digital Foundry have done some extensive testing. I like to think that, in a rather hippy-dippy way, I can make similar evaluations just by feel. If my character takes an extra split-second to react when I make a move, that ever-so-slight disconnect between action and reaction can ruin my experience. It's the same sensation as noticing when a movie's audio doesn't perfectly match the movements of the actors' lips, which can quickly drive you mad. I strolled up to a Stadia demo station assuming I'd sense such a desynchronization straight away, ready to debunk Google's pie-in-the-sky ambitions. Boy, was I wrong. Simply put, I would've never guessed I was playing Assassin's Creed Odyssey and 2016's Doom from the cloud if I wasn't already aware. Having not participated in the Project Stream beta test featuring Odyssey, I figured the game would look a bit downgraded, or fudge the precision of my inputs - but it handled both with ease. I'm no texture savant, and I can't immediately tell you a game's resolution just by glancing at the screen, but everything looked great and ran smoothly, with nary a hitch in the frame rate. Unfortunately, I didn't get the chance to use the actual Stadia controller; instead, I was firing off arrows and engaging in melee combat using a wired controller (one of those extremely cheap but perfectly functional Logitech gamepads). No matter what I did, I couldn't seem to 'fool' or trip up the streaming, even when frantically spinning in circles or zig-zagging around cliffs. Combat felt totally natural, with no discernible difference to the timing of dodges and parries, and even the menus had no trouble handling my overzealous flicking back and forth between panels. Alright, so Assassin's Creed Odyssey had passed a quick test - but surely Doom's frenetic, first-person bloodbath would feel off while streaming down from the cloud. Nope. Playing on a wired mouse and keyboard, I was shocked once again by how buttery-smooth everything looked and felt. The supremely violent Glory Kill animations, as you rip demon skulls apart and pulverize hellspawn with your fists, never missed a beat in between shotgun blasts. This Stadia demo included the ability to emulate different degrees of stream connectivity, including "Excellent," "Degraded," and "Severe." I was playing with an Excellent connection, but even when watching over the shoulders of folks who were playing under Severe conditions, they seemed completely unfazed. Granted, I only played each game for a few minutes apiece, and these conditions don't reflect the end product. Using wired control methods seemed like it would offer a significant advantage over the WiFi-connected Stadia controller, and these demos took place in San Francisco's Moscone Center, where plenty of high-powered server locations are well within reach. After my hands-on time, I kept contemplating the idea of 'imperceptible latency' that had come up during a Google-hosted panel from earlier in the day, titled "Gaming in the Cloud: A Technical Deep Dive." During the talk, Stadia engineering lead Guru Somadder talked about latency as something that's effectively impossible to eliminate completely. "Latency is present in every action you take, and in every data transfer pipeline you have," said Somadder. "For example, your HDMI transfer takes anywhere between 16-33ms to your display. Your gaming monitor is running at 4ms, at best, refresh rate. Even your USB ports for your typical peripherals are at about 8ms." Those latency limitations are part of our physiology, too: the human brain takes 30ms and up to process visual stimuli, and it'll be at least 70-180ms before your brain's commands can reach your fingers. "Mitigating the effects of latency is key," Somadder added. "Our goal is to make it imperceptible to players." I still believe there will be some limitations to what Google's Stadia and cloud gaming in general can accomplish. For instance, I can't imagine fighting games ever soaring on the service; high-level players are extremely sensitive to imperfect latency, as some attack animations only last one or two frames. And sniping a moving target from across the map in a multiplayer shooter requires a bit more precision than running up to a fireball-flinging imp and shooting it at point-blank range. But once you've experienced Stadia's smoothness for yourself, it's hard to argue with the results. I don't personally plan on buying into cloud gaming any time soon, as I don't think I can ever let go of my games existing as part of a nearby physical object, be it a hard drive, cartridge, or disc. But if you like the idea of playing blockbuster games without the need for an expensive console or PC - not to mention its many additional features like shared states - the future made possible by Stadia is looking very bright indeed. Here are the 5 biggest questions Google Stadia still needs to answer.